Breakfast is very important to DonQui. Almost as soon as he wakes he is thinking about what he wants to eat. If he goes too long without breakfast — say more than 20 minutes after waking — then Mr Grumpy shows up and DonQui is really not worth knowing at all. 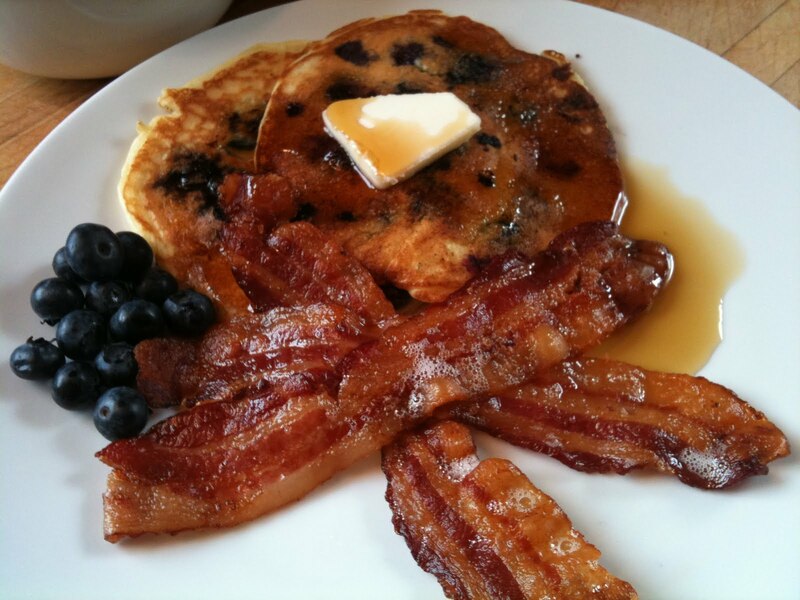 His favourite breakfast is without a doubt buttermilk pancakes with blueberries, crispy bacon, lashings of butter, and swimming in proper maple syrup — none of the artificial stuff thank you very much! French toast (well soaked before cooking) is a close second, tied with scrambled eggs on toast, both with crispy bacon. And DonQui also quite enjoys a full English every once in a while with fried egg (on toast) back bacon, sausage, mushrooms, tomatoes, beans and maybe black pudding. Of course he would be a very large donkey indeed if he ate this sort of thing every day, so on a regular basis he is quite happy with his own muesli mixture (with blueberries) or maybe a bowl of porridge on a cold winter’s day. Image DonQui’s dismay, therefore, when he heard that the Spanish don’t really do breakfast. At best he could expect a cup of coffee and maybe a piece of toast or something similarly dull and uninteresting. 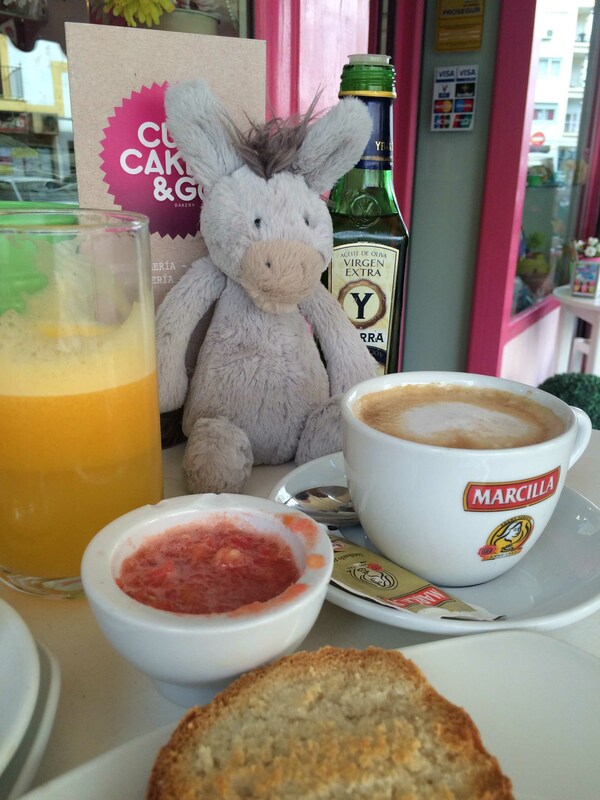 Here he waited with some trepidation to see if a Spanish breakfast was really as dull as it sounded. His spirits rose when he saw what came. It may not have been pancakes and maple syrup but it actually looked rather good. Fresh squeezed orange juice, toasted rolls with olive oil and tomato pulp and superb café con leche would see him through to lunch without too much hardship after all. 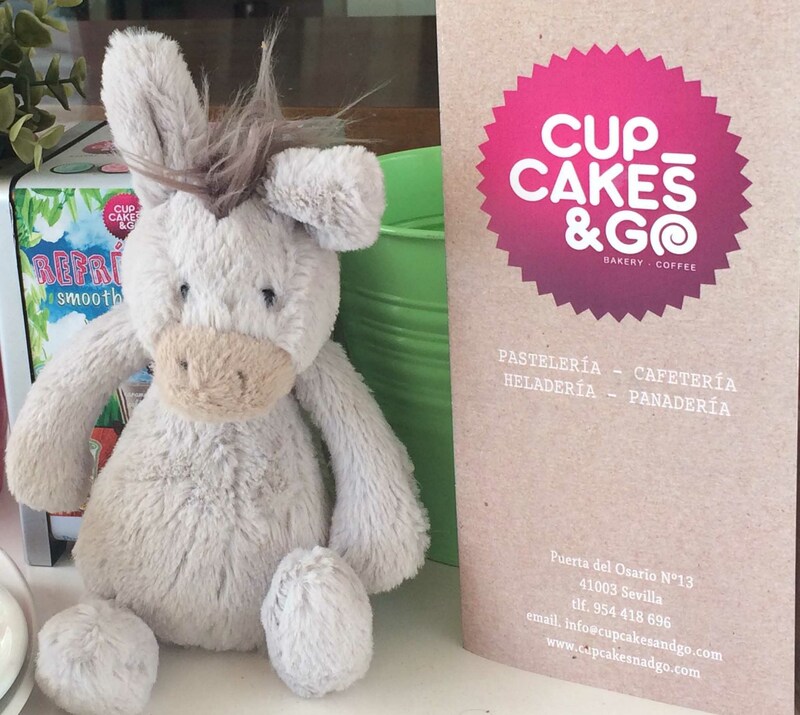 Cupcakes and Go for great coffee, toast, croissants and, yes, cup cakes too. They also have a small selection of ice-cream All for very reasonable prices.